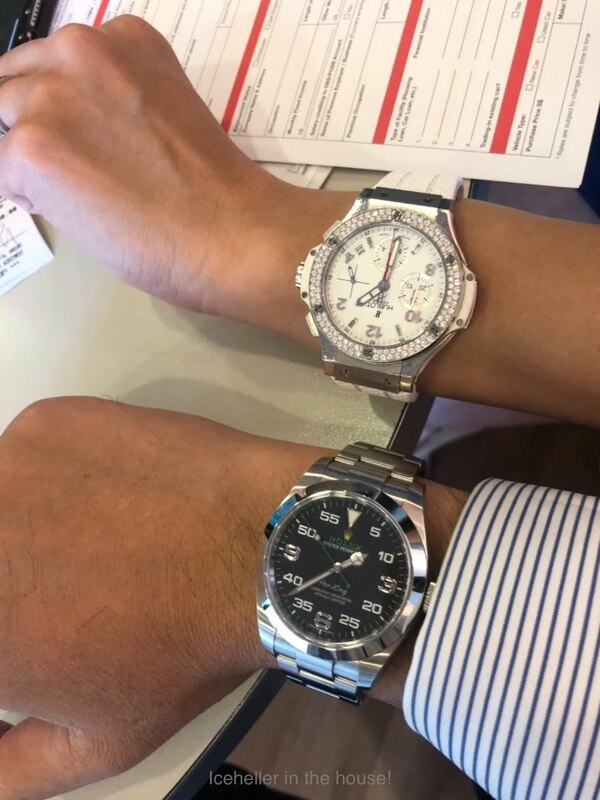 Horological Meandering - The two kings in their own fields. The two kings in their own fields. Hublot - King of fusion with a bang & Rolex - King that is unparalleled! Took this while make payment to my female dealer.